Get May’s MASSIVE Coupon Code ONE WEEK EARLY! The only way to get May’s coupon code early is to subscribe to our newsletter! 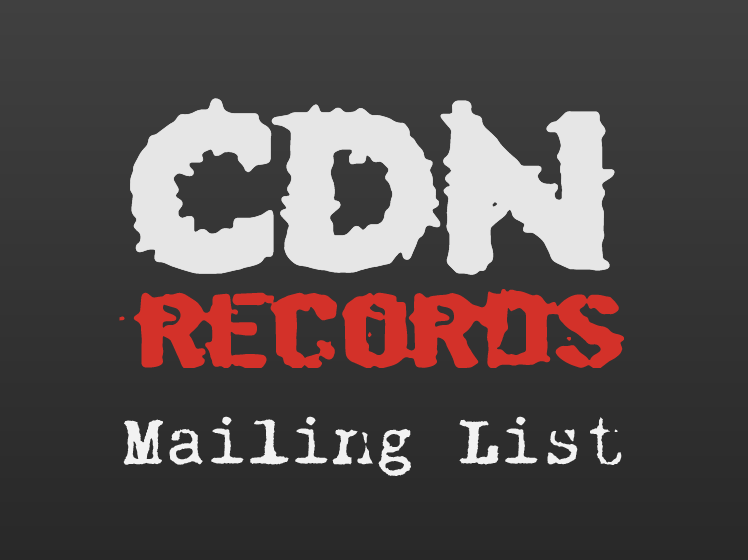 We’re about to offer one of our biggest sales ever, on more of our inventory than ever before, so subscribe to the mailing list and get first dibs. 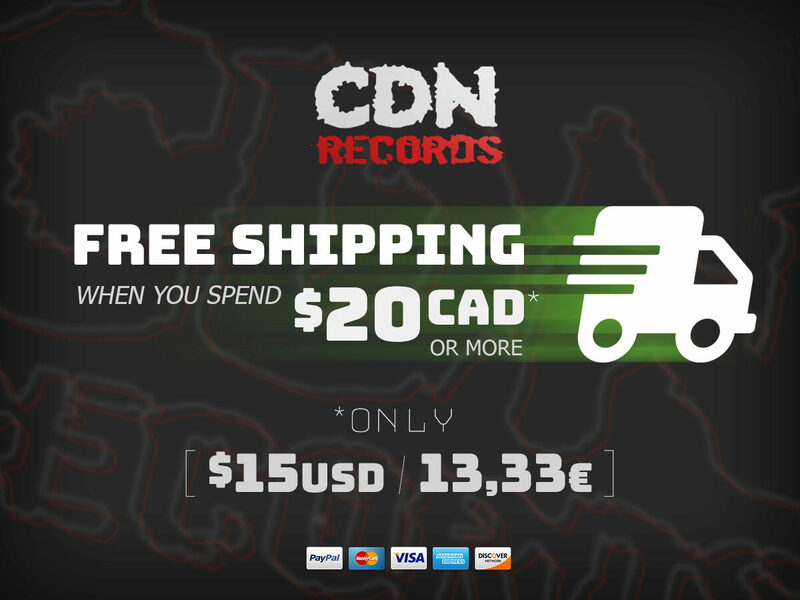 Automatically receive FREE SHIPPING in your cart when you add $20 CAD ($15 USD / 13,33€) or more worth of products tagged CD, CD-EP, CD-R, Digi Pak CD or Flags. 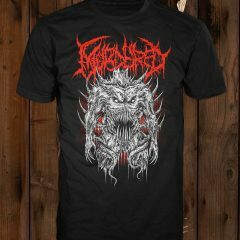 We’ve extended the flash sale into March! 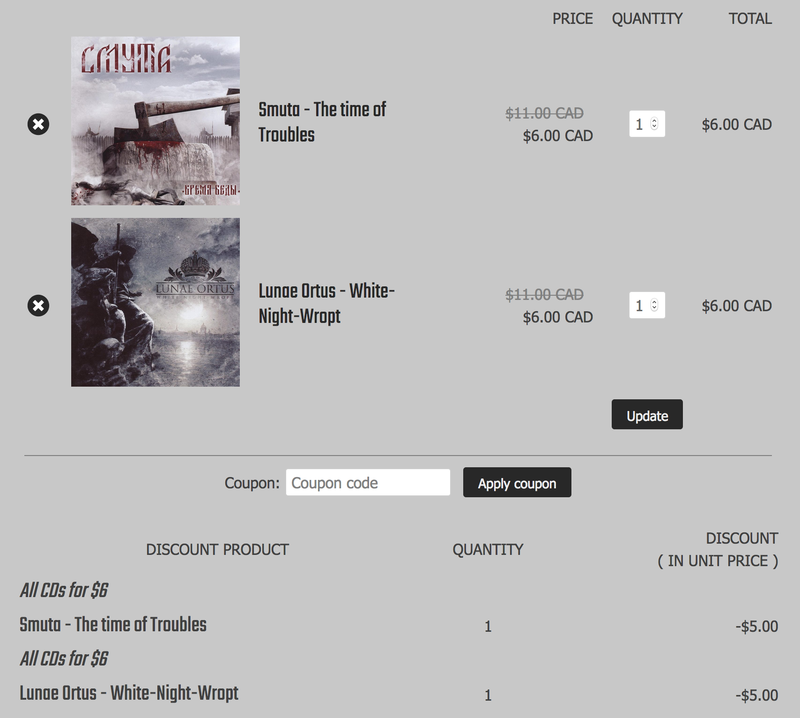 Fill your cart with products tagged CD, CD-EP and CD-R and use the coupon code CDSFOR6 to get each CD for $6 CAD. 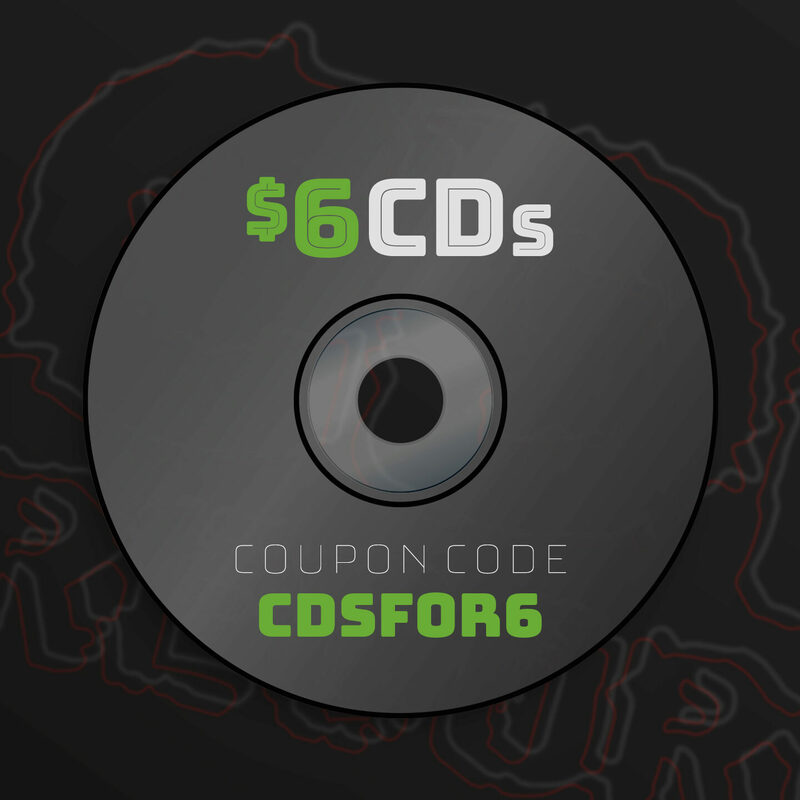 Fill your cart with products tagged CD, CD-EP and CD-R and use the coupon code CDSFOR6 to get each CD for $6 CAD!